← What Kind Of Church Are We? I saw it out of the corner of my eye. It was something that most people would see and think, “Yeah that’s what’s supposed to happen” but the fact is it was a miracle. 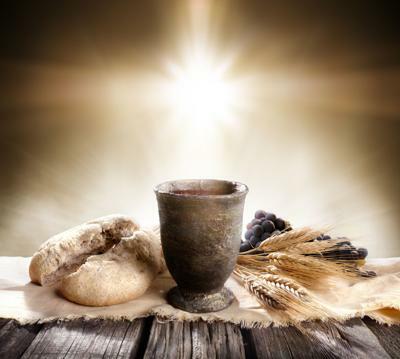 Our church body was participating in communion, remembering the broken body and shed blood of Jesus offered for us so that we might have life abundant and eternal. The people made their way to the back with loved ones, and then one by one they took the bread and dipped it into the cup. When everyone’s doing something together like that, it doesn’t really look all that special when you see someone take communion. But what I saw was special. I watched a husband and wife who had been completely transformed by Jesus, hold each other, pray together and take communion. She had once been living on the streets lost in the haze of addiction, but she’d found Jesus and Jesus had changed her life. He too been lost in the haze of addiction, to the point that he’d come this close to losing his life more than a few times. But he also had found Jesus, and Jesus had changed his life. So when I saw this married couple, with this back story, take communion together in their pursuit of Jesus I marveled. I marveled at the mystery of how Jesus really can transform lives. I marveled that God can actually use a church to help people find Jesus. I marveled that I, of all people, get to be a part of radical transformation stories like theirs. I wish all of you who read this blog a Happy Thanksgiving. May you marvel at the many ways God has mysteriously blessed you, provided for you, and loved you in spite of yourself.